ecoHVAC has recently supplied to The Opera Apartments, South Brisbane specialised hydronic equipment which included an Australian manufacture chilled water buffer tank; Imera Expansion tanks and Flamco’s Dual Zone Flow Diversion air & dirt separator. 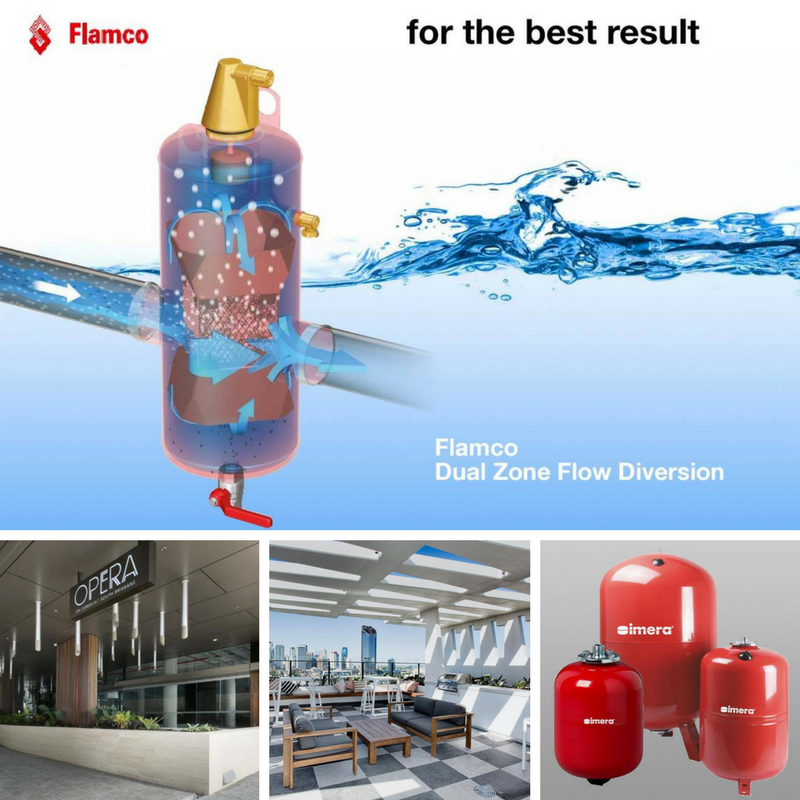 Flamco’s new patent Dual Zone Flow Diversion unites all existing technologies to separate air particles and dirt from system water: coalesence, lowering of the flow speed and pressure drop. For detailed product information, please visit our Products page. For phone or email details, please visit our Contact Us page.